I realize white skinny jeans are nothing new and exciting, and that I've remixed them multiple times before (last fall included). But everything spring rolls around they feel so fun and fresh, and I love how many ways there are to style them! Prints, solids, sweaters, breezy tanks, brights, neutrals...all so cute! So, stick with me as I wear my trusted white skinnies some more. This is my first look of 3 this month! I love this look! 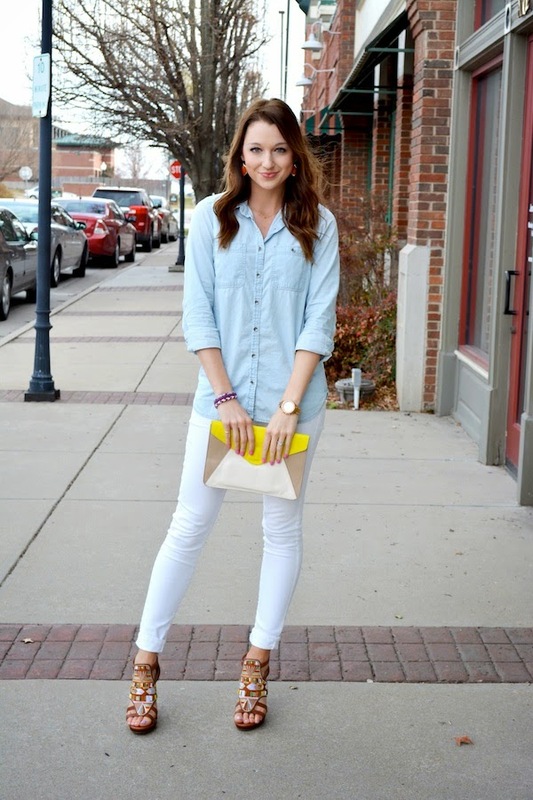 A simple chambray and skinnies and those SHOES!!!! Love to throw one unexpected element in the mix, and those shoes are perfect for that! THESE HEELS. Holy pretty! Love your jeans too. I really want to find a pair that fits me well! Usually my thighs look cray cray in white pants lol! 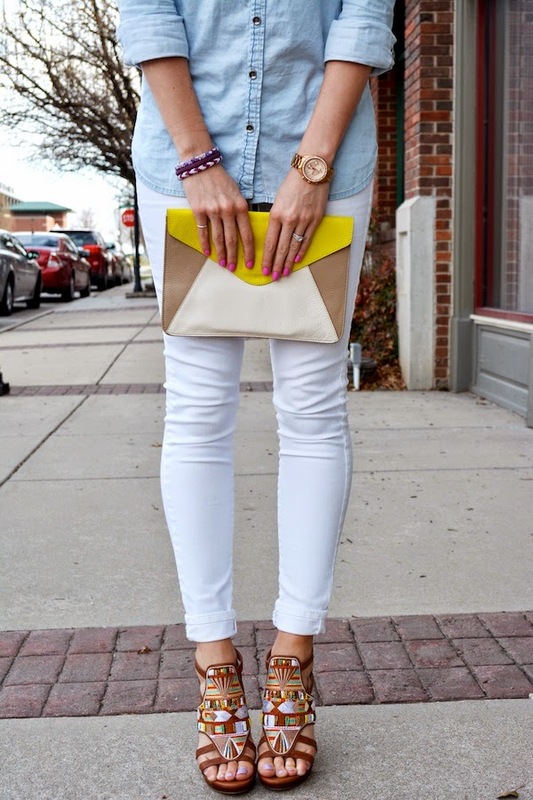 Love this spring look! The heels and bag go together perfectly. so classy and chic girl absolutely love this an dying over those fab heels! 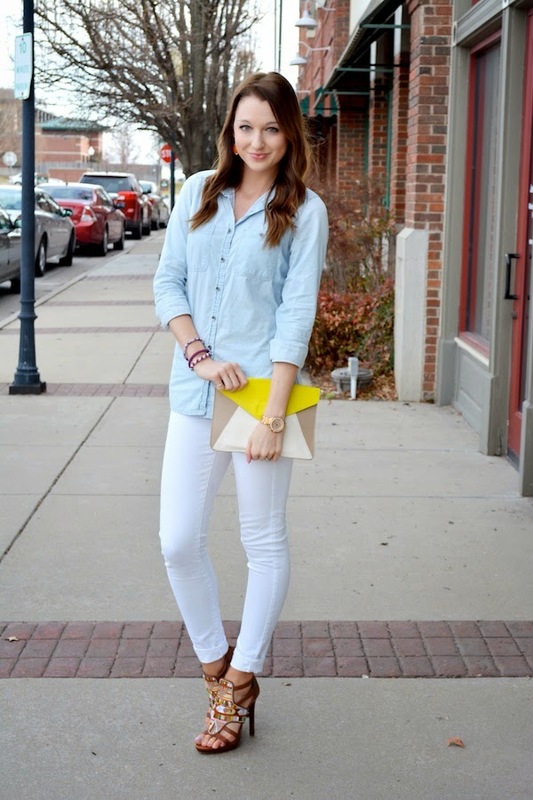 you look so cute, must try pairing white and light chambray soon. im OBSESSED with those shoes, Jacy!!!!!! Work it!!!! Loving this look Jacy!!! Those sandals are so cute!! 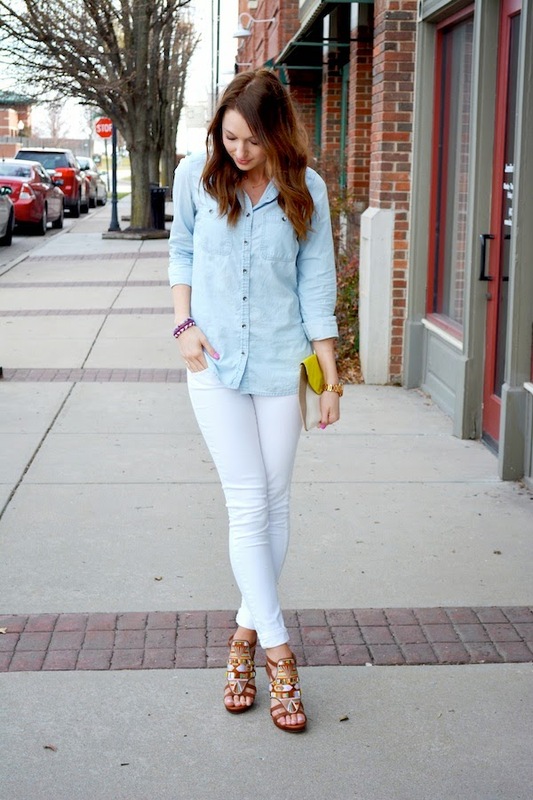 I love white denim- seriously, nothing works better in the spring and summer than a great pair of skinny white jeans. You look lovely! 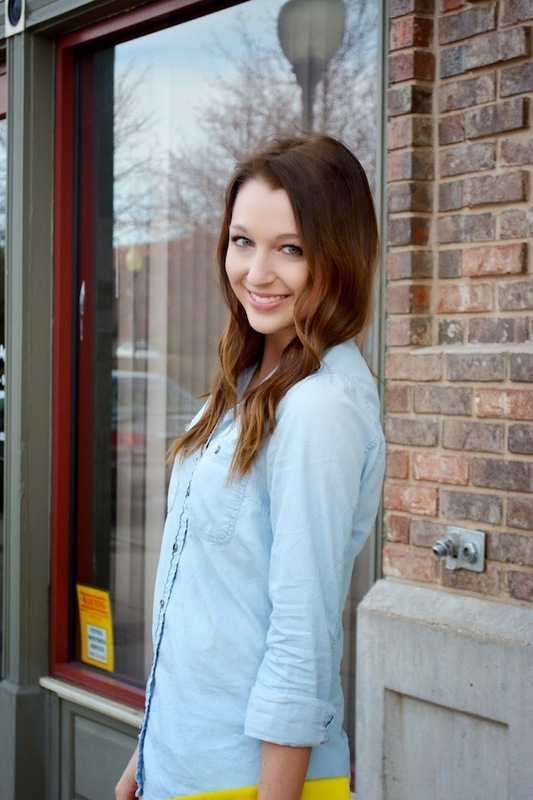 Such a beautiful spring look Jacy! 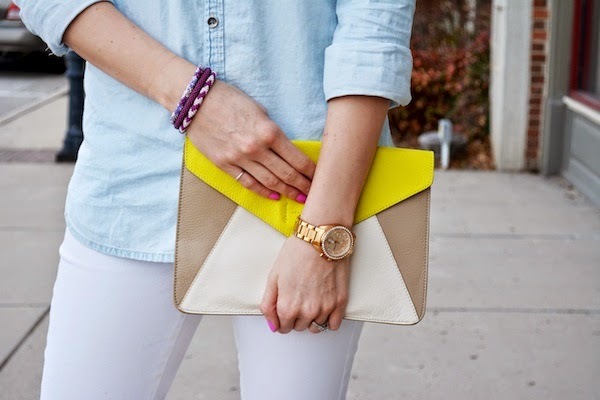 White demin is at the top of my spring shopping list - I love how you styled yours! how fun are those shoes?! Loving them! Perfect with your white jeans too!